Outside Germany, the Kitchener-Waterloo Oktoberfest in Canada is the second biggest annual Oktoberfest celebration that spreads across nine days. Billed as the greatest Bavarian festival, the annual Oktoberfest Waterloo Oktoberfest parade attracts over 700,000 festival goers from all over the country. During the festival, you can visit the festhallens or German-Canadian clubs, which combine premium German beer, traditional music, dancing, and food. 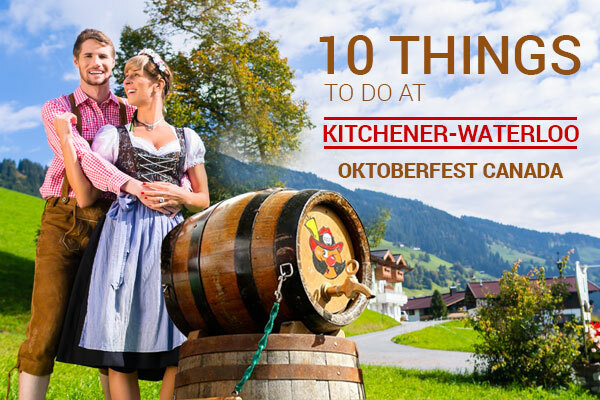 Although the Oktoberfest Waterloo beer celebration attracts numerous visitors, it offers a range of cultural and family events. The Oktoberfest Kitchener-Waterloo highlights the biggest Thanksgiving Day Parade and visitors can see performers, decorative floats, and bands. Other events that merge into the Oktoberfest in Waterloo include a Golf experience, farmers market, and a 5K run to name a few. The concept of Oktoberfest generally is about drinking lots of beer, but don’t fill up on beer alone as the festival offers plenty of food! The event also attracts visitors to the food trucks that present delectable meals. The best thing about this event is that it is free to the public. However, when you attend Oktoberfest in Canada, one thing you must not forget is to dress in the traditional German costumes. Oktoberfest celebrations are incomplete without the perfect looking Lederhosen for men and Dirndl for women. Kitchener-Waterloo Oktoberfest Parade Is Incomplete Without Traditional Bavarian Costumes! Are you attending Oktoberfest in Canada this year? If you are then you will know well that this celebratory day is also about carrying and highlighting the Bavarian culture and heritage. Don’t forget to steal the spotlight by wearing a classic Lederhosen or Dirndl dress. In case you are wondering what a Lederhosen costume is, then you should know it’s a traditional German outfit for men that features a leather or suede pant with suspenders and a checkered or plain shirt. If you wish to look just like a German local, then we suggest that you choose brown Lederhosen with intricate embroidery details in the front with buttons and pockets. At our online store, you can choose Lederhosen with two colored embroidered details and other variations. You can pair this with a blue-white checkered shirt and don’t forget to wear other accessories like shoes and hats to complete the outfit. A woman’s dirndl usually comes in a complete set including a dirndl blouse, bodice, skirt, and apron. The blouses vary in design and styles, for example, you can wear a Carmen arm style, or choose a checkered blouse rather than the traditional white one. Dirndls come in different lengths including midi, mini and long. If you want to look like a real German, then you can choose a midi dirndl with a blue apron, and a matching blouse. Dirndls in our store feature ribbon style bodice, embroidered and more. 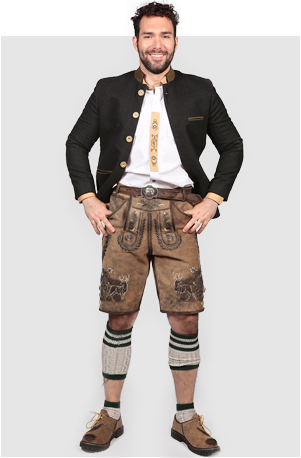 Don a chic Bavarian look this Oktoberfest with our range of amazing costumes! Have you bought your pair of Lederhosen or or dirndl dress for the Beerfest Party? 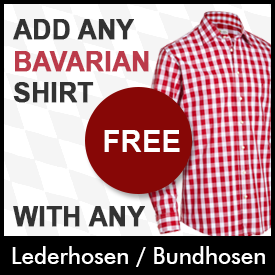 Try our awesome collection of traditional german clothing. Join Oktoberfest president Alfred Lowrick as he taps the keg at the opening ceremonies of the festival! Visit one of the festhallen to experience unique German beer! Check out one of the 40 cultural and family events and rest assured that there’s something for every single family to enjoy at Oktoberfest Waterloo! Explore the sights of the festival and don’t miss out the Farmers Market! Mark your calendars for 9 October for the Kitchener waterloo Oktoberfest parade! Oktoberfest Waterloo is a celebratory event for everyone! Make sure you attend the event with your loved ones. For all your costume needs, we have you covered. 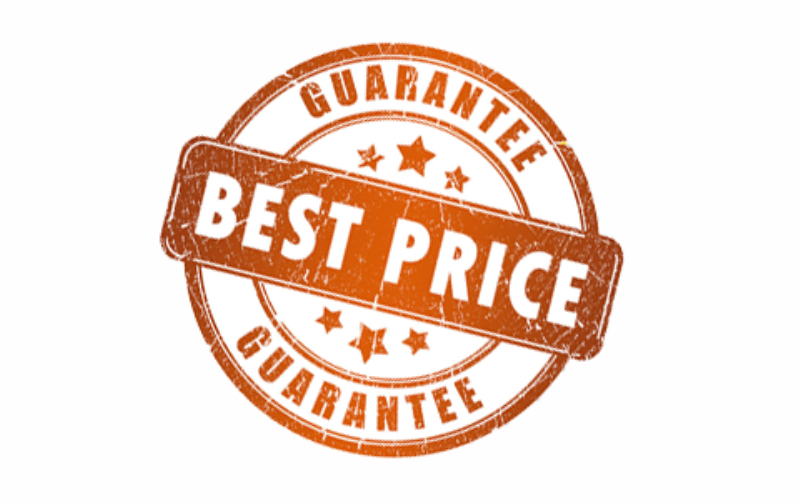 Explore our store and you will find authentic German costumes that are durable and highly comfortable. Place your orders now and prepare for the event before time!